It is a blanket that is a puppet. 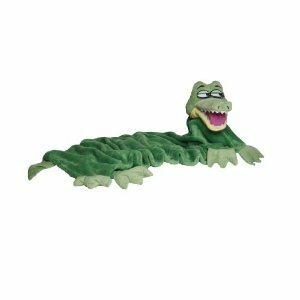 -Make your puppet dance, wiggle, talk, and more! 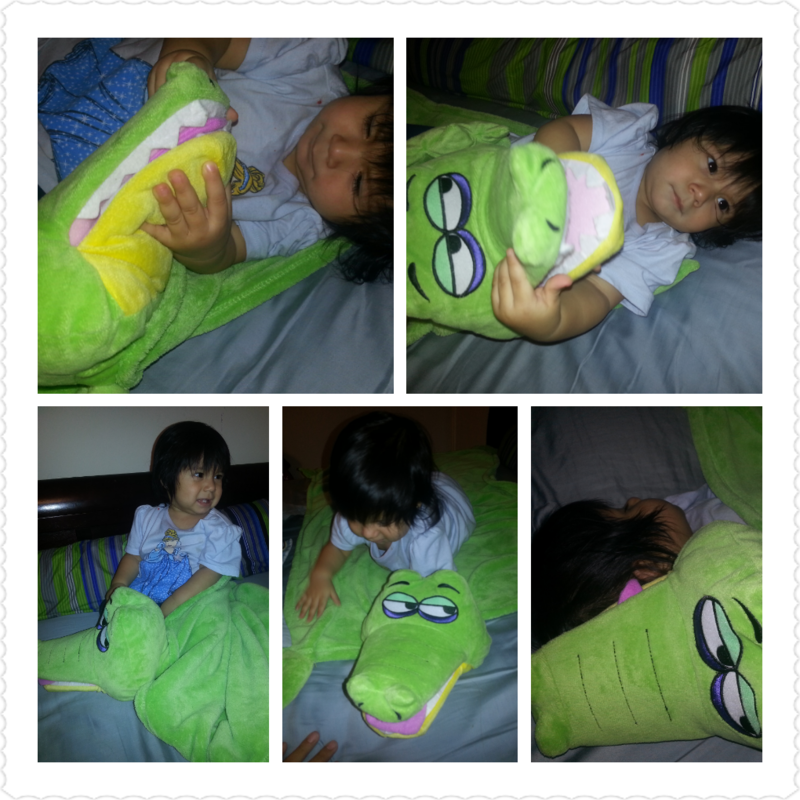 My thoughts-My daughter loves her green crocodile. She loves to cuddle with her soft blanket. It is her perfect size. The puppet is great for telling stories or pretend time. She takes it everywhere. And since it is soft, I know she cannot hurt herself while playing with it. She has so much fun with it. And as you can see in the last picture, she fell asleep with it. ***Disclosure-Sample product received to review. Cuddleuppets has been Lil Bit tested and Independentmami approved.